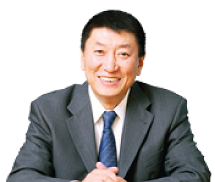 Mr Wang Yu Hang was appointed as the Chairman and Non-Independent and Non- Executive Director of the Company with effect from 19 January 2016. He was appointed as Deputy General Manager of China COSCO SHIPPING Group in January 2016. From September 1979 to September 1983, Mr Wang studied in the marine engineering department of Dalian Maritime University. He started his career in Tianjin Ocean Shipping Company after graduation. From June 1987 to November 1999, Mr Wang was working in China Ocean Shipping (Group) Company and had taken various posts including Deputy General Manager of Development Division, Deputy General Manager of Human Resources Division, General Manager of Supervision Division, Deputy Director of Discipline Inspection Commission, Director of Legal Office and General Manager of Human Resources Division. From February 2000 to February 2014, Mr Wang was Executive Vice President and Acting President of COSCO Americas Inc., Deputy General Manager and General Manager of COSCO Shipbuilding Industry Company, and Managing Director of COSCO Shipyard Group Co. Ltd. 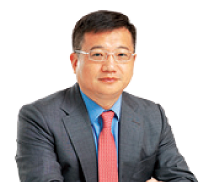 In February 2014, Mr Wang was appointed as Executive Vice President of COSCO Group. 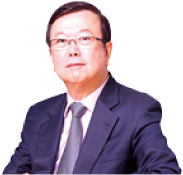 With over 30 years' expertise in shipping industry, Mr Wang Yu Hang has rich experiences in human resources development, discipline inspection and corporate management. Mr Wang obtained his bachelor's degree in marine engineering and he is a senior engineer. Mr Gu started his career in 1991 with Dalian Marine Transportation Co. in the Shipping and General Affairs Divisions. He holds a Bachelor of Arts in Foreign Languages Department from Shanghai Maritime University. Mr Li Xi Bei was appointed Non-Independent Executive Director on 30 August 2016. 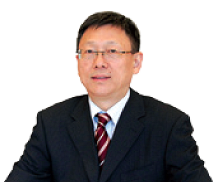 Mr Li brings to his current role extensive experiences in human resources development, discipline inspection and corporate management. Prior to his current appointment, Mr Li was Manager, Deputy General Manager and then General Manager in Supervision Division of China Ocean Shipping (Group) Company from June 2001 to March 2016. He has been Vice President of COSCO Holdings (Singapore) Pte Ltd since March 2016. Mr Li served as Deputy Manager and Manager in Personnel Division of COSCO Industry Company from January 1998 to June 2001. He was Deputy Section Chief and Section Chief in Human Resources Division of China Ocean Shipping (Group) Company from March 1994 to January 1998. Prior to that, he was working in Personnel Division of China Ocean Shipping Company and COSCO Manning Cooperation Inc. from November 1990 to March 1994. Mr Li started his career in 1979 onboard ships of Guangzhou Ocean Shipping Company. He graduated from Naval Academy of Engineering and specialised in Engineering Management. Mr Ang Swee Tian is a Non-Executive Independent Director of COSCO Corporation (Singapore) Limited. He chairs the Enterprise Risk Management Committee and is a member of the Audit, Remuneration, Nominating and Strategic Development Committees. Mr Ang was the President of Singapore Exchange Ltd ("SGX") from 1999 to 2005 during which he played an active role in successfully promoting SGX as a preferred listing and capital raising venue for Chinese enterprises. Mr Ang also played a pivotal role in establishing Asia's first financial futures exchange, the Singapore International Monetary Exchange ("SIMEX") in Singapore in 1984 and was instrumental to establishing SGX AsiaClear which started offering OTC clearing facility in 2006. Following his retirement in January 2006, Mr Ang served as Senior Adviser to SGX until December 2007. In March 2007, Mr Ang became the first person from an Asian Exchange to be inducted into the Futures Industry Association's Futures Hall of Fame which was established to honour and recognise outstanding individuals for their contributions to the global futures and options industry. 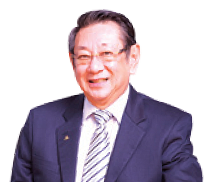 Mr Ang graduated from Nanyang University of Singapore with a First- Class Honours Degree in Accountancy in 1970. He was conferred a Master Degree in Business Administration with distinction by the Northwestern University in 1973. 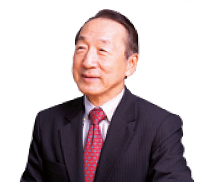 Dr Wang Kai Yuen was appointed Non- Executive Independent Director on 2 May 2001. He chairs the Nominating Committee and is a member of the Audit, Enterprise Risk Management, Remuneration and Strategic Development Committee. Dr Wang served as a Member of Parliament for the Bukit Timah Constituency from December 1984 until April 2006. He was the Chairman of Feedback Unit from 2002 until his retirement from politics. He retired as the Centre Manager of Fuji Xerox Singapore Software Centre in December 2009. He graduated from the University of Singapore with a First Class Honours degree in Electrical and Electronics engineering. Dr Wang holds a Master of Science in Electrical Engineering, a Master of Science in Industrial Engineering and a PhD in Engineering from Stanford University, USA. He received a Friend of Labour Award in 1988 for his contributions to the Singapore labour movement. Mr Er Kwong Wah was appointed Non-Executive Independent Director on 20 December 2002. He chairs the Remuneration Committee and is a member of the Audit, Nominating, Enterprise Risk Management and Strategic Development Committee. A Colombo Plan and Bank of Tokyo Scholar, Mr Er obtained a first class honours degree in Electrical Engineering at the University of Toronto, Canada, in 1970 and an MBA from the Manchester Business School of the University of Manchester, UK in 1978. For his outstanding service in the Government and in the community, Mr Er was awarded the PPA (E) or Public Administration Medal (Gold), the BBM (Public Service Star) and the PBM (Public Service Medal). In 1991, the Government of France conferred him a National Honour with the award of Commandeur dans l'Ordre des Palmes Academiques.